A beauty blog with books. And probably movies and food. And random thoughts. And weirdness. But mostly nail polish. 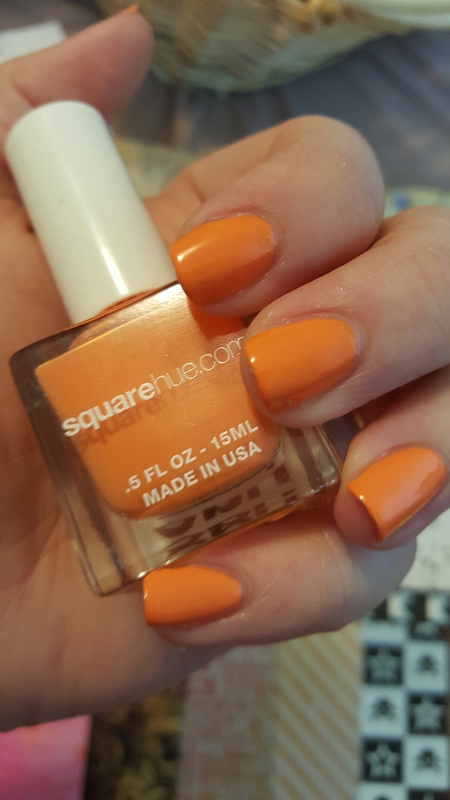 I subscribed to Square Hue back in January and I’m just now getting around to trying some of the polishes. This particular one is a warm orange. Now, as you can see, orange is really not my color. But it is, however, my baseball team’s color and they have been doing very well lately. So I’m willing to take the orange bullet for today. I was worried at first because the formula was very chalky and streaky at first, but the second coat covered everything pretty well. It dries slightly darker than what’s in the bottle. Which is probably why I put some glitter on it. Actually, I think it broke up the orange enough so that my skin doesn’t look quite as sallow. Yay! This was a surprisingly okay formula for an orange. I’m looking forward to trying more from this brand! 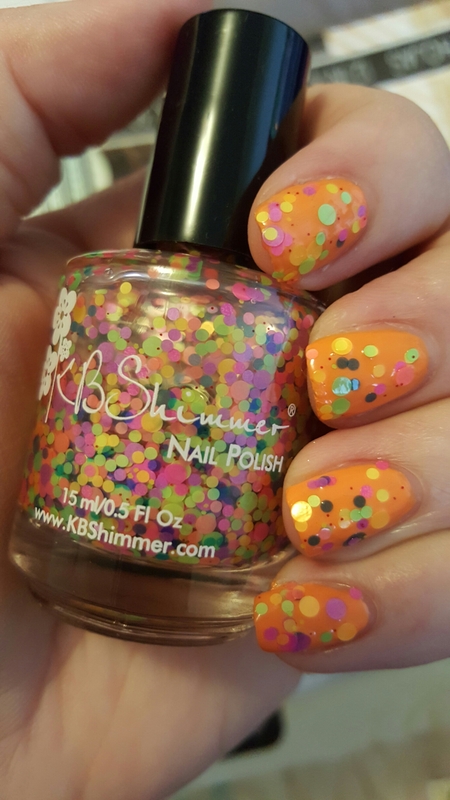 This entry was posted in Nail Polish Collection and tagged cream, glitter, kb shimmer, nail polish, orange, square hue, swatch, swatches on April 16, 2016 by Mel. As the weather starts to warm up, this is exactly the kind of color that I crave. This bright pink came from that holiday collection last year, but I haven’t touched it till now. It’s opaque in 2 coats. 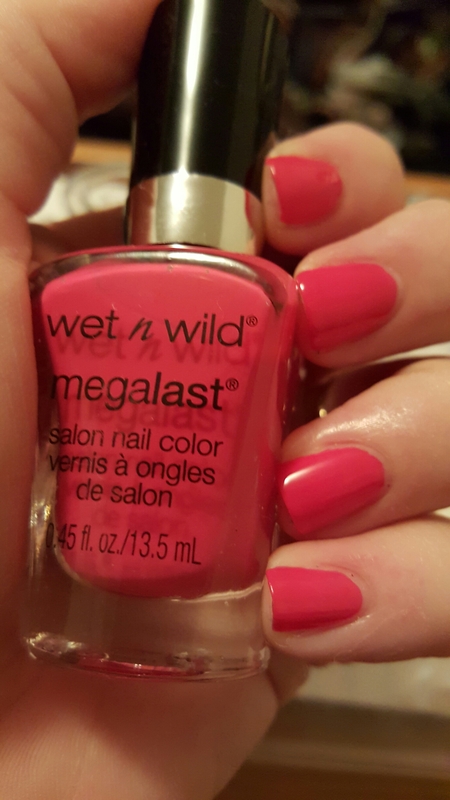 This entry was posted in Nail Polish Collection and tagged cream, nail polish, pink, swatch, swatches, wet & wild on April 5, 2016 by Mel. This purple dries to a satin finish and is opaque in two coats. 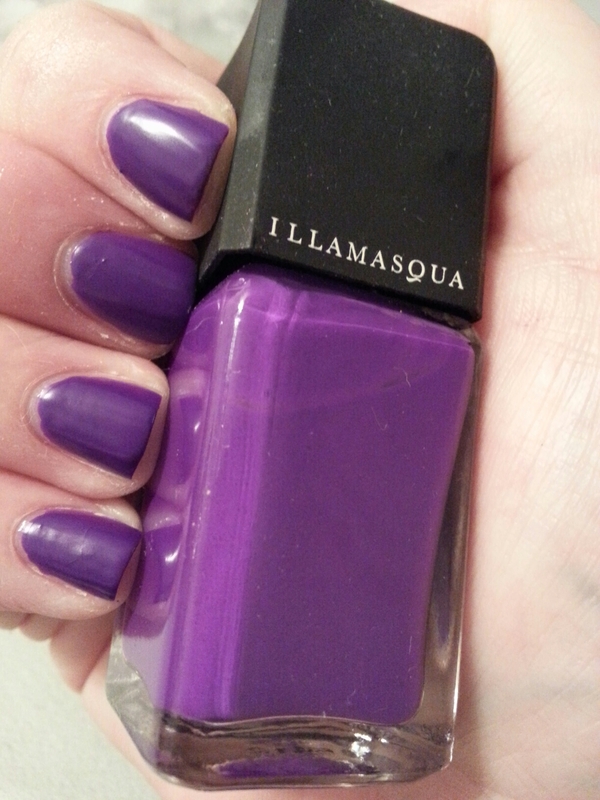 This entry was posted in Nail Polish Collection and tagged cream, illamasqua, nail polish, purple, swatch, swatches on March 29, 2016 by Mel. This beautiful red cream is a true one-coater. I even got it to stamp, which has been neigh impossible for any red I’ve ever tried. Highly recommended! 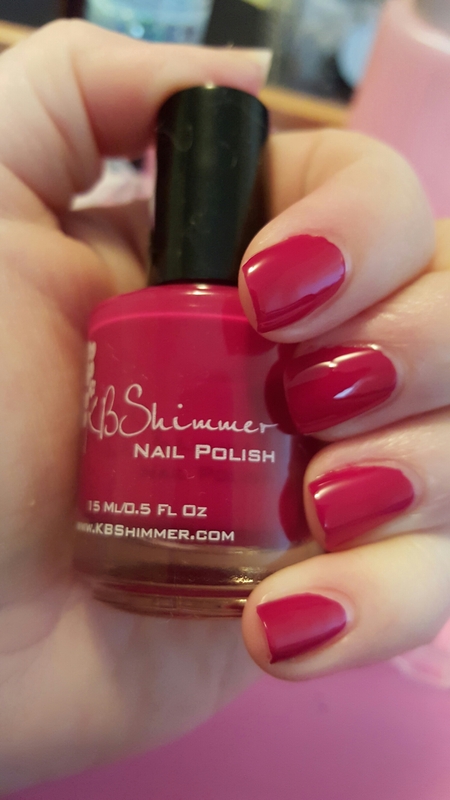 This entry was posted in Nail Polish Collection and tagged cream, indie nail polish, indie polish, kb shimmer, nail polish, red, swatch, swatches on March 23, 2016 by Mel. This gray-based taupe has a lovely, creamy formula and is opaque in 1-2 coats. 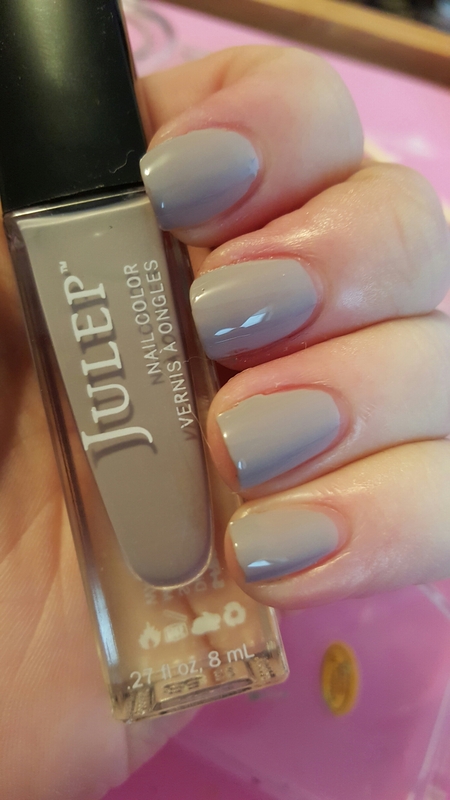 This entry was posted in Nail Polish Collection and tagged cream, gray, julep, nail polish, swatch, swatches, taupe on March 21, 2016 by Mel. It’s spring! And this has to be the perfect color. This turquiose cream is opaque in two coats. 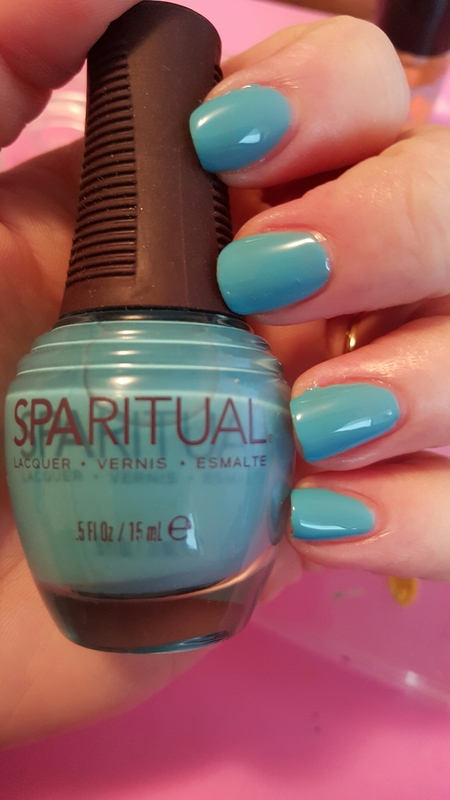 This entry was posted in Nail Polish Collection and tagged blue, cream, nail polish, sparitual, swatch, swatches on March 20, 2016 by Mel. 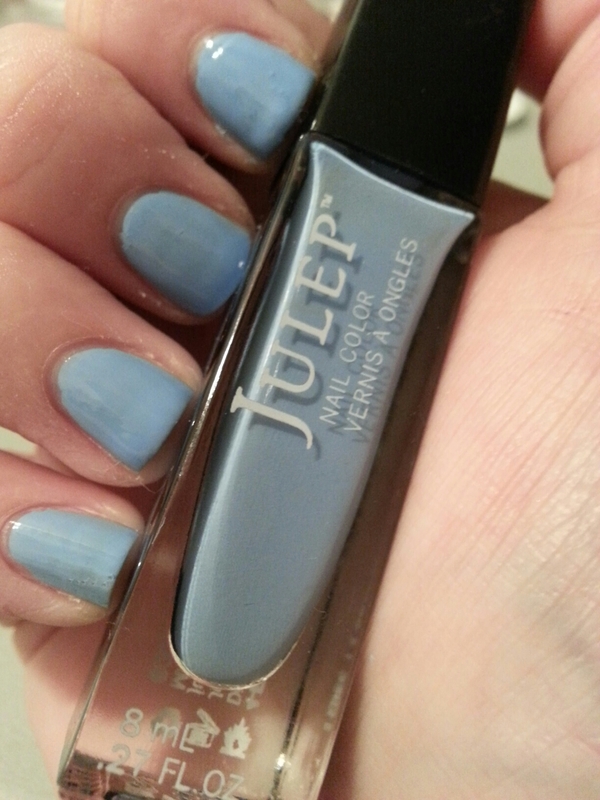 Margaret is a dusty periwinkle, opaque in 2 coats. This entry was posted in Nail Polish Collection and tagged blue, cream, julep, nail polish, swatch, swatches on March 17, 2016 by Mel. I write about all sorts of products, from books to moisturizer. Everything was either purchased by me or checked out from the local library. I am not sponsored in any way. If, in future, I happen to get my hands on an ARC or promotional product, I will state that explicitly in each post that mentions the item. This blog is meant to be a hobby, not a way to make money or obtain free things. So, we live in a basement unit right next to a big creek and we've had a bit of a menagerie of outdoor critters make their way in. I was unprepared for snakes. Anybody know if this little fella is harmless or not before I try to extract him?